Founded in 1945 as a distributor of stock plastic shapes, Midland Plastics, Inc., headquartered in New Berlin, Wisconsin, is one of the oldest and largest plastics suppliers in the Midwest. 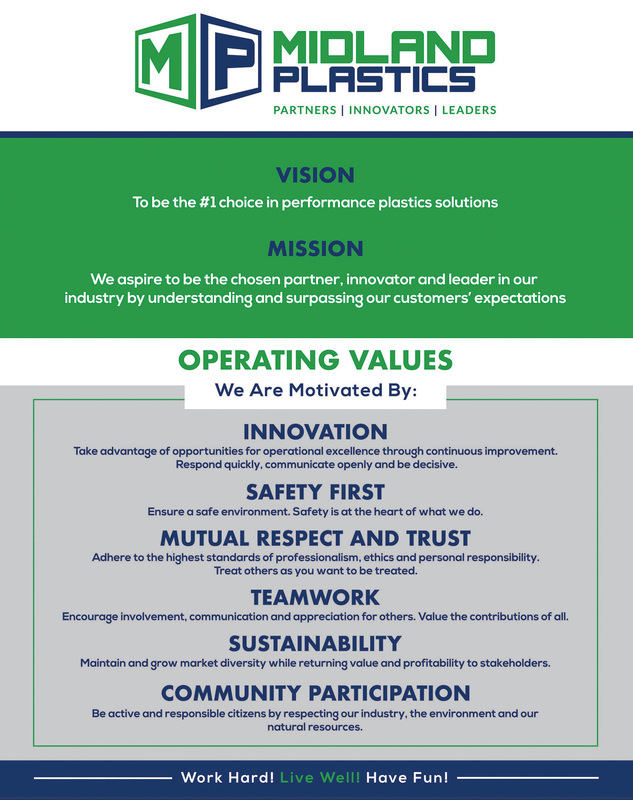 As a privately held distributor celebrating over 70 years in business, we have developed relationships with many of the top plastics manufacturers, allowing us to offer a wide selection of both standard and high-performance plastic products. Our expansion into custom manufacturing and fabrication lets us serve our customers better by assisting them with all of their plastic needs, whether in CNC sawing and machining, fabrication, forming or custom extrusions. We thoroughly plan and review each new project, carefully monitoring each phase of production to ensure we meet our customers’ expectations for the highest-quality plastic components. 2016 – Expanded the New Berlin facility by 40,000 sq. ft.